A city cop is transferred to a country post after his wife miscarries a baby, on his first day a prison breakout frees Jimmy Conway a convicted murderer put away by the town sheriff. Jimmy heads back towards town looking for payback. 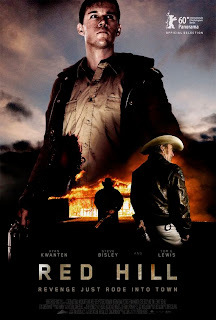 Red Hill written and directed by Patrick Hughes is a solid Australian western with some really tense action sequences. It features excellent use of the Australian landscapes and much of the film is set at night with some great night time photography which and adds to the tension and atmosphere already created within the story. A sub plot including a big cat on the loose adds a slightly off kilter aspect that I liked. A slight problem with the film is that the ending is too predictable and if you have seen any similar films before you will see it coming way before the film ends. The film is well acted by all the cast, Ryan Kwanten (True Blood) stars as Shane Cooper and gives a good lead performance as the transferred cop, but Tommy Lewis gives a real force of nature performance as Jimmy Conway, despite Conway's character being almost wordless throughout the entire film he still manages to convey everything he needs to brilliantly even with half his face under prosthetics. 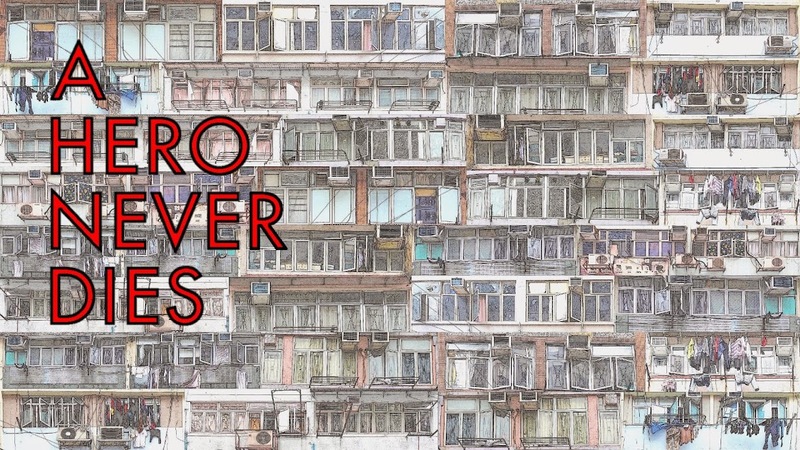 Although the ending is a little too obvious the journey to get there is well worth the ride, the main characters are well drawn, the story is lean and the action is mean, well worth a watch.